The Detroit Water and Sewage Department plans to shut off water for delinquent customers at a rate of 1,500 to 3,000 this summer. When Netroots Nation convenes its 9th annual conference in Detroit this month, I hope that attendees arrive pre-hydrated. 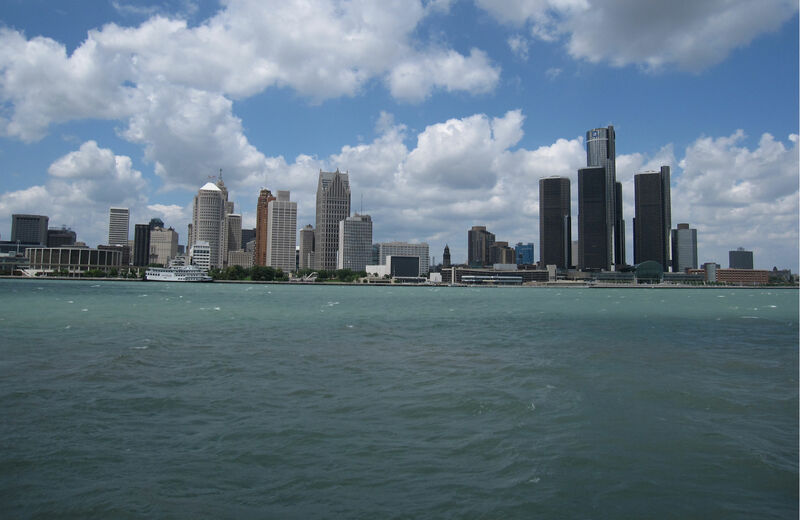 Because despite living at the hub of the largest group of freshwater lakes on the planet—taken together, the Great Lakes represent more than one-fifth of the world’s surface freshwater—Detroit residents are running out of running water. They’re also running into city and state bureaucracies that, alarmingly, don’t seem to care. In March, when the winter freeze finally began to thaw, Detroit Water and Sewerage Department (DWSD), the city’s public utility, announced that it would resume shutting off water to delinquent customers, at a rate of 1,500 to 3,000 per week. As a result, some 40 percent of DWSD customers will lose their water supply by the end of the summer; 70,000 of these customers are residential, which means that 200,000 to 300,000 Detroiters could be directly affected. This is, to be sure, a public health crisis. In a Los Angeles Times op-ed that (sadly) compares Detroit to Donetsk, Michael Hiltzik writes bitterly that in Ukraine, “[W]arring pro- and anti-Russian forces are using basic necessities of life, such as water, as weapons against the civilian population….The same thing is happening in Detroit, where city officials have subjected the civilian population to mass shutoffs of water for past-due bills, then placed bureaucratic obstacles in the way getting service restored.” And it’s service, mind you, that’s seen a 119 percent rate increase over the last ten years, including an 8.7 percent uptick approved by the city council just last month. The average monthly water bill for a family of four in Detroit is nearly double the national average. Chris Hayes reported on MSNBC that, though the E.P.A. recommends that families spend no more than 2.5 percent of their pretax income on water and sewage, some residents of Detroit pay 20 percent of their pretax income for these services. Those who can’t pay face a shutoff—and a stigmatizing blue slash of paint in front of their houses, signifying that they are, in fact, waterless. And as if depriving people of a basic human right isn’t outrageous enough, the byzantine legal and financial machinations behind the city’s actions are truly galling. The details, as described in Counterpunch by Detroit lawyer Tom Stephens, are dizzying—even the oversimplified Godfather analogy that he uses to analogize the city’s shady dealings requires a careful parsing—but they boil down to the simple premise that Motown values its financial-institution creditors more than its own citizens. It’s but another example of the 1 Percent’s preferences taking precedence over the Ninety-nine’s necessities. Indeed, many believe that DWSD’s strong-arm tactics are part of a larger plan to make the utility more attractive to private investors. As part of the Netroots Nation conference, National Nurses United (The union is also active in the Robin Hood Tax movement) is holding a march and rally on Friday, July 18, to condemn Detroit’s shut-off program as a violation of human rights. If you’re attending Netroots Nation, I encourage you to participate in the action, which begins at 12:30 pm outside the Cobo Center in Downtown Detroit. “There is,” writes author and activist Jane Jacobs in the introduction to The Death and Life of Great American Cities (1961), “a quality even meaner than outright ugliness or disorder, and this meaner quality is the dishonest mask of pretended order, achieved by ignoring or suppressing the real order that is struggling to exist and to be served.” She could have been describing the Chapter 9 bankruptcy restructuring of Detroit. As Michigan’s brahmins work to appropriate and repurpose every last penny, they’re strangling and humiliating Detroit’s most valuable asset—that is, Detroiters themselves.